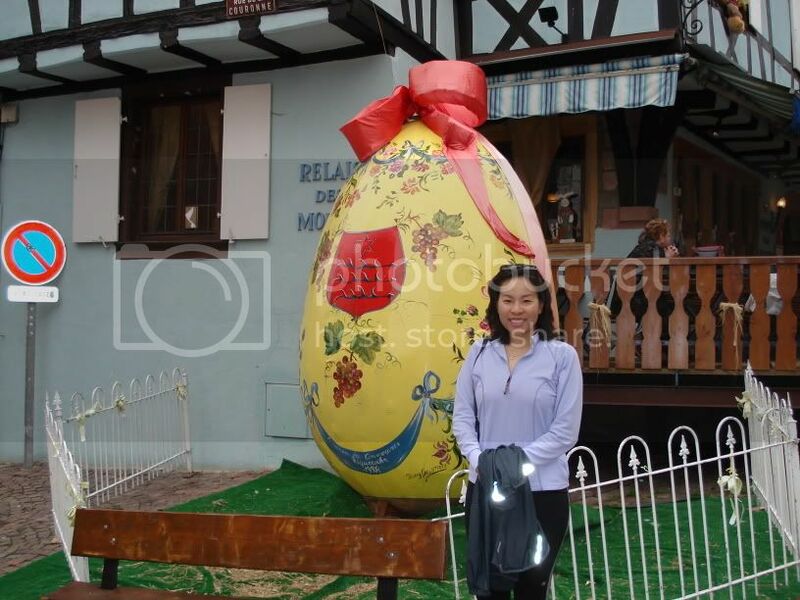 It is becoming an Easter tradition. 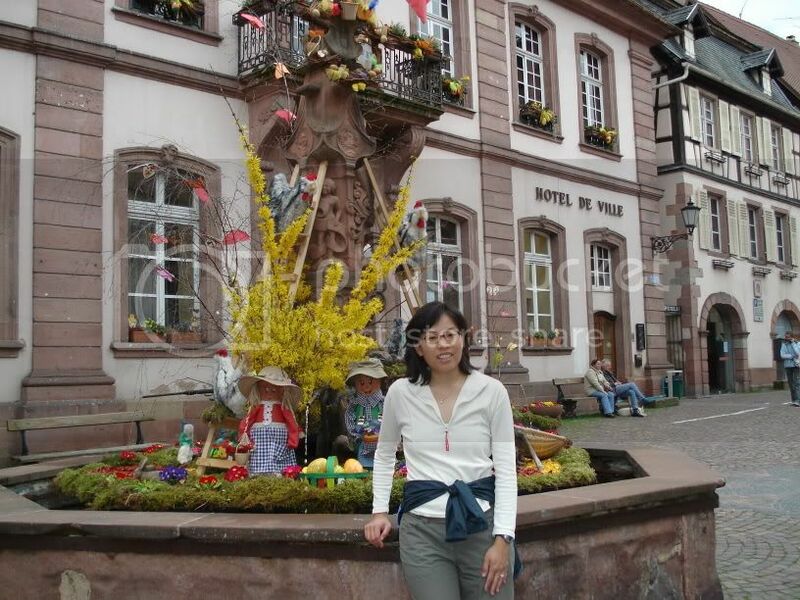 For the 3rd time in the last few years we went to Alsace for Easter. Another tradition? It rains whenever we are there. 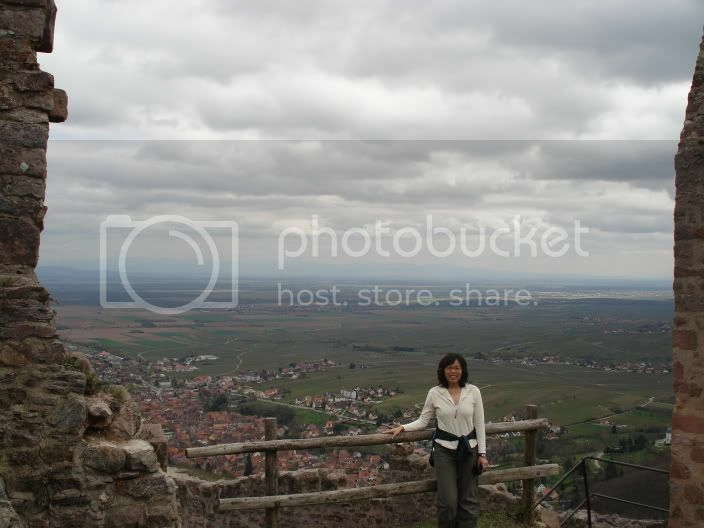 Still the weather mostly held and we enjoyed two big hikes in the Vosges mountains up to 3 huge castle ruins. Imbetween we cycled through wine country. Click below to enlarge. 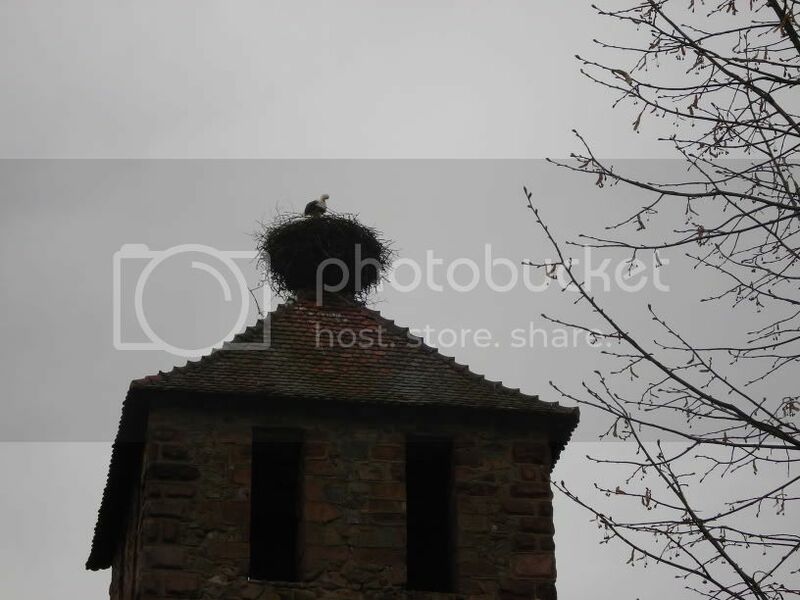 Lots of old buildings have storks nests. The third picture below is a 15th century tower with a stork on top.